Take a ride on the KCDC Hovercraft on Friday, May 25 at 10:30 AM, 1 PM and 3 PM. Learn about gravity, force and fun! 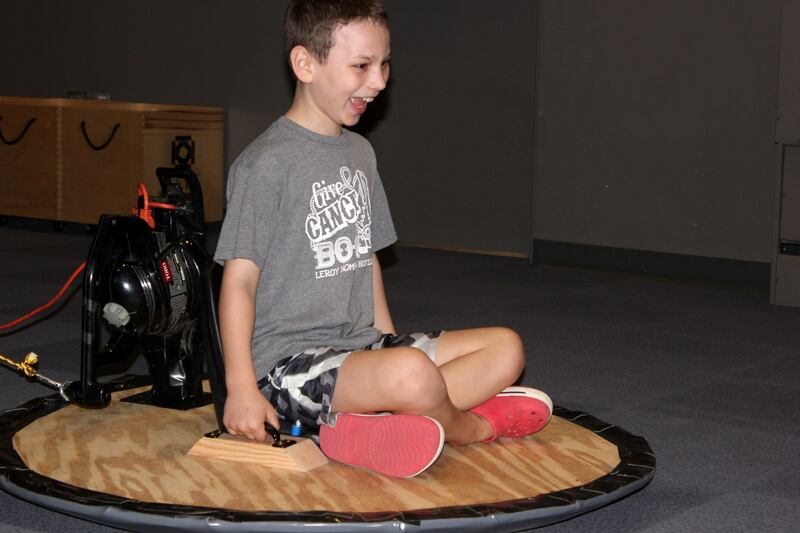 Take a crash course in gravity on Saturday, May 26 from 11 AM to 3 PM. Explore this invisible force using art, engineering and science experiments. Discover how gravity helps create art with splat painting, make a prototype of a gravity-powered rollercoaster, and practice finding the center of gravity through balancing experiments! 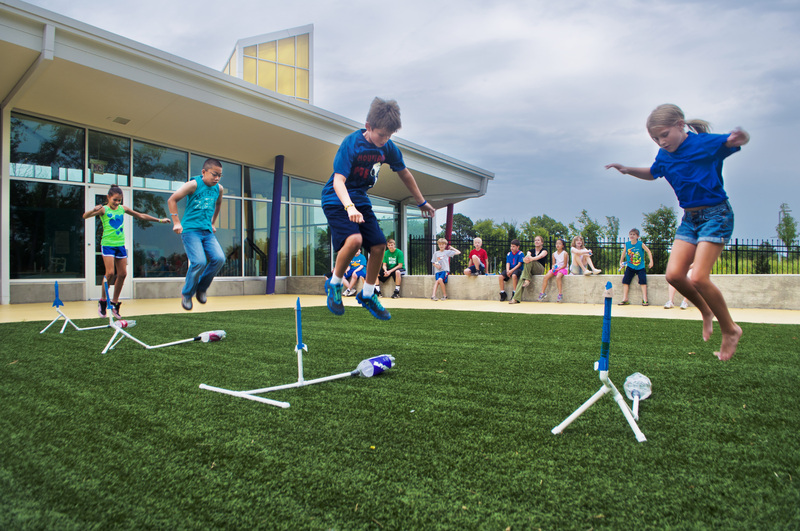 Take off with rocket building on Sunday, May 27 from 1 PM to 3 PM! 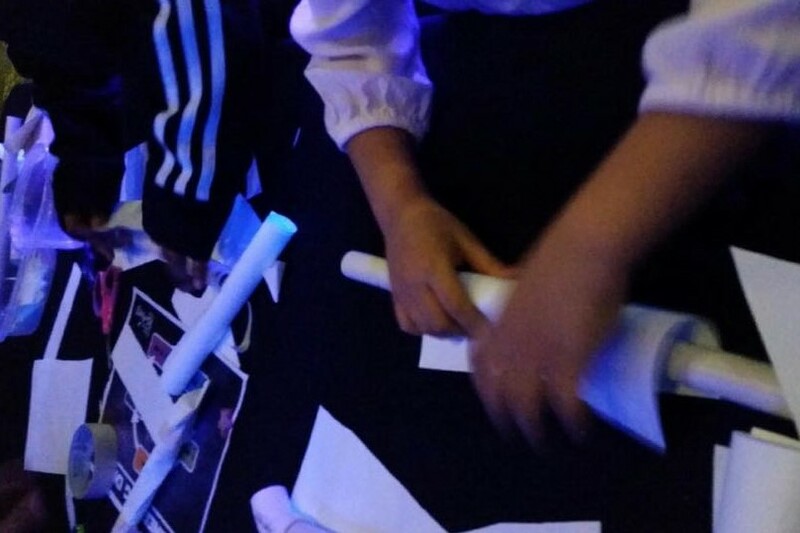 This fun activity is great chance to launch young scientists into engineering. They'll learn to solve a problem using the engineering process: ask, imagine, plan, create and improve. It's a blast! Explore astronomy fun on Monday, May 28 at 10:30 AM, 1:00 PM and 3:00 PM. 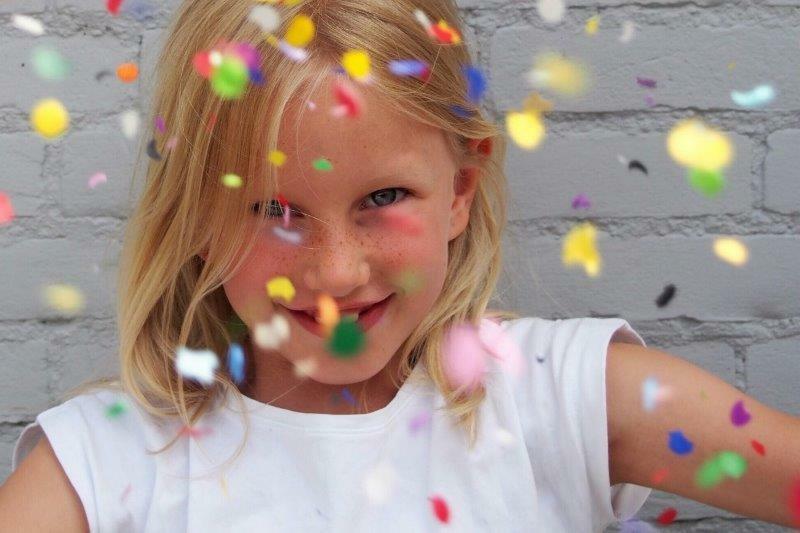 Launch into sensory fun with moon sand at 10:30 AM, create and test a balloon rocket at 1:00 PM and explore objects in motion to learn how astronomers detect unseen planets at 3:00 PM. Put KCDC in your orbit for moon-themed fun on Wednesday, May 29 at 1:00 PM and 3:00 PM. 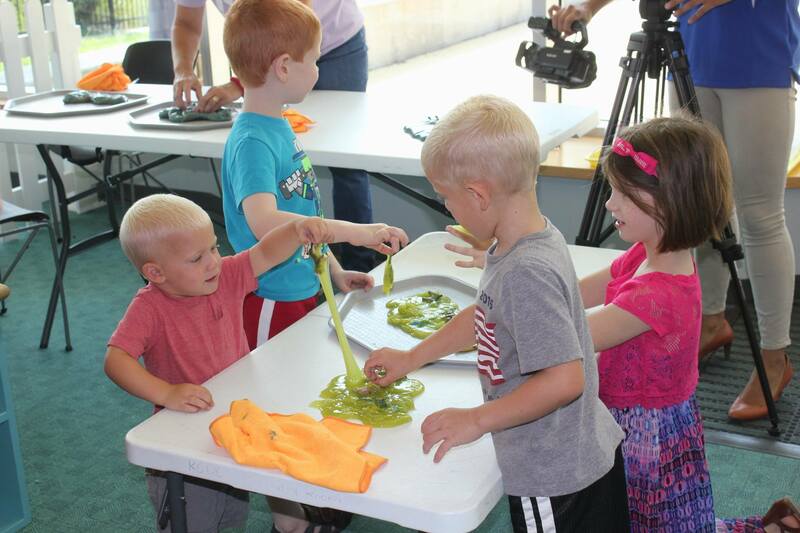 Explore moon craters using flour at 1:00 PM. See what it's like to explore Mars with Dash robots at 3:00 PM. 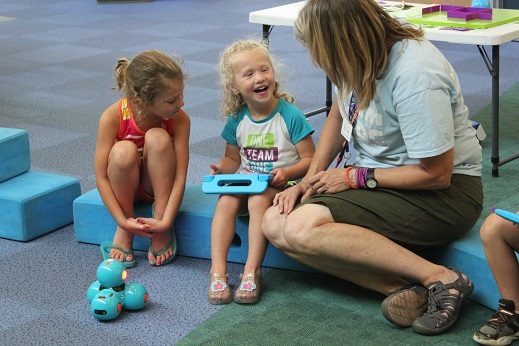 Kids use an app and coding skills to program Dash and navigate it around an obstacle course. It's serious fun! Have an astronomically fun time on Wednesday, May 30 at 1:00 PM and 3:00 PM. 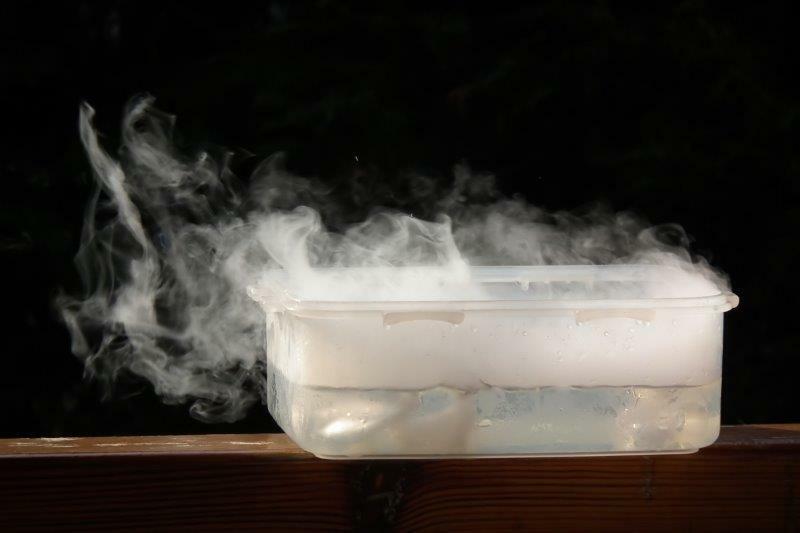 Investigate clouds at 1:00 PM and make your own moon rocks at 3:00 PM. 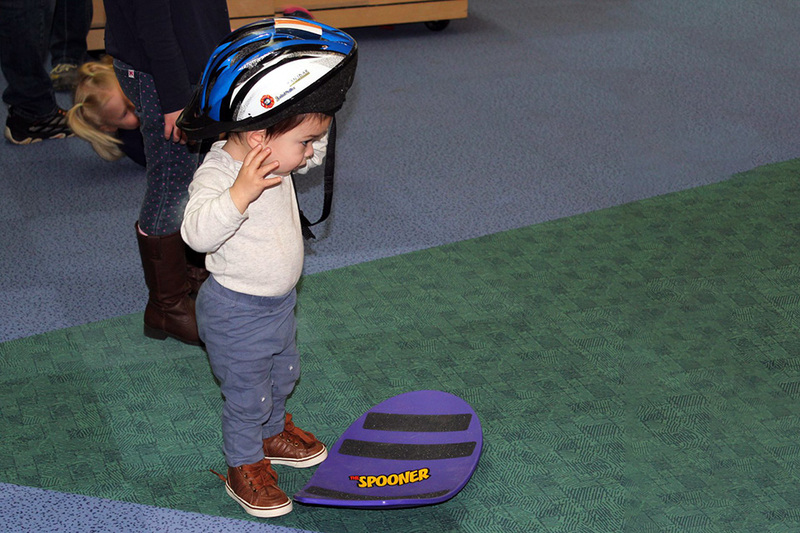 Join us out-of-this world fun on Thursday, May 31 at 10:30 AM, 1:00 PM and 3:00 PM. Explore orbiting objects to learn how astronomers study planets at 10:30 AM, play with space slime at 1:00 PM and explore magnetic fields at 3:00 PM. Friday, June 1 | Happy Birthday KCDC! 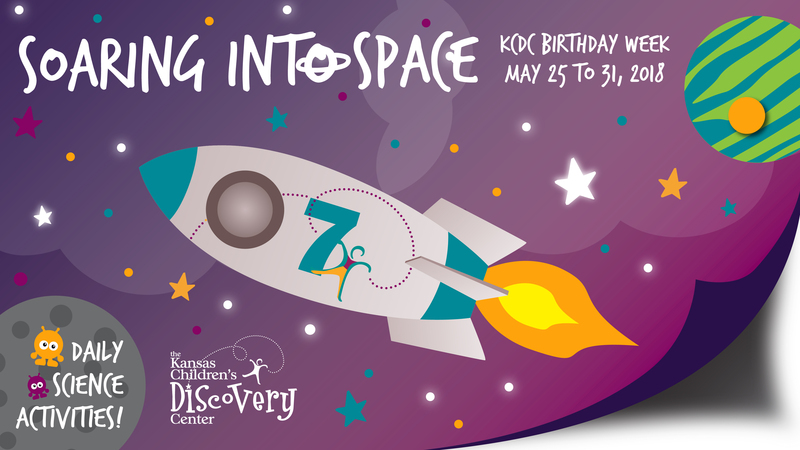 Celebrate KCDC's 7th birthday with a collection of amazing space activities on Friday, June 1! Make moon sand at 11:00 AM, make marshmallow shooters at 11:30, study orbiting objects like an astronomer at noon, join us for a birthday surprise at 1:00 PM, build stomp rockets at 2:00 PM and navigate robots through a moon challenge course at 3:00 PM. Learn about gravity, force and fun! Astronomy is the study of space beyond the Earth. It's is one of the oldest branches of science. Astronomers use telescopes and computers to study far-away objects like stars and planets, but anyone can enjoy astronomy just by standing outside and looking at the sky! What keeps the moon orbiting around the Earth in space? Gravity! Gravity is an invisible force that attracts smaller objects towards larger objects and holds them in place. Really, really big: 432,169 miles across, to be exact. One million Earths could fit inside the sun – and the sun is considered an average-size star! How old is KCDC turning on June 1? June 1, 2018 will be KCDC's 7th birthday! We celebrate our birthday for a whole week every year. Why a week instead of one day? Because birthdays are awesome! How many people have visited KCDC since your last birthday? More than 80,000 people have visited in the past year! We have a lot of friends, and they're all invited to our birthday party. That would be a lot of birthday cake! Sure would! If all 80,000 people who visited in the last year were to show up expecting a slice of birthday cake (let's say, a 3-inch, square piece), we'd need a square cake 71 feet wide! We'd only have enough edge pieces for 1,132 of them, though, so anyone who wants lots of frosting would have to show up early.